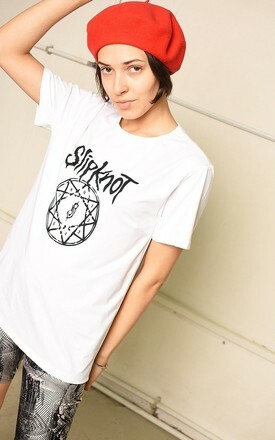 Cool White festival Slipknot rock band t-shirt top tee. Great condition. So comfy, so perfect for this season! Size fits M. The model size is UK 6-8. Length - 68 cm, bust - 96 cm. Wash as cottons. Size fits M. The model size is UK 6-8. Length - 68 cm, bust - 96 cm.